Therapeutic exercises are a part of traditional physical therapy and they are a very important way to get the client more involved in their own rehabilitation process. Unfortunately, the home exercises should be given only if clients can do them with proper form by recruiting correct muscles. Unfortunately, when they are injured or have pain, they may compensate, which makes it harder to learn a proper form. The matter of fact is, if they repeat these home exercises with poor form and control, the exercises may do more harm than good. Many physical therapy practices seem to use their physical therapy aid to teach home exercises to clients and that is not ideal. Physical therapy aids usually have very little knowledge about body biomechanics and anatomy, even when PT aids are trained and supervised by a Physical Therapist. If those home exercises are not taught well, they are not going to help either. Furthermore, home exercises are usually isolated to strengthening and stretching the muscles around injury, and that may sometimes be too much to tolerate, especially when clients have pain or fear of pain. So, in home environment clients may not repeat their home exercises correctly which may lead them to compensate and add even more muscle imbalances than they have already. If you were injured and think that you are fully recovered, you may still have 50% chance to get the same injury again or create a new one. Why? 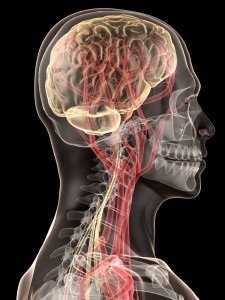 Because your brain may develop faulty movement patterns during your injury and pain. You start to compensate and your brain adapts to that faulty way of moving. Sometimes, even though you feel better and don’t have pain anymore, you may still have those compensatory faulty movement patterns. These faulty patterns can lead to new injury by placing abnormal stress and load on joints and soft tissues. You need to re-program your neuro-muscle system to correct these faulty movement patterns. It may sound easy, but it is not. Unfortunately, your short visits to Physical Therapy and doing home exercises, is probably not helping to correct these faulty movement patterns and muscle imbalances, because they focus more on your injury, not on how you may compensate it. The ideal rehabilitation program should focus on your whole body alignment and how your body parts are working together. Traditional Physical Therapy may still help at your acute stage but after initial physical therapy it would be very wise to continue your rehabilitation process with Rehab Pilates. Pilates as a Rehabilitation is a missing link in your recovering process from injury and pain. Pilates Rehab works for many reasons. Great attention to detail and form is a perfect way for clients to gain strength in their weaker and injured muscles and joints as well as the whole body. Pilates develops a smaller muscle group that works to support joints and body structures. It is a great way to complete your Physical Therapy. It works also as an alternative rehabilitation method for people with orthopedic issues and dysfunctions. Pilates one-on-one training with experienced Pilates Instructor or Physical Therapist can help people with their real underlying problems such as correcting those muscle imbalances and faulty movement patterns (which may have caused your injury in the first place). It is pretty much re-educating your body to work more optimally, economically and ergonomically with proper alignment, control and coordination. With Pilates you will get long-term solution about how to take care of your body as a whole – and the best part, being injury FREE! It’s all about PREVENTION!